More words have been written about the “Prince of Wines” than the number of bottles lying in the CRAYERES beneath the chalk-rich soil of the very region from where the name was taken. The art of Viticulture Science has been part of this region ever since Roman Times and been expecting the day when the use of a cork as a stopper was re-discovered by visiting Spanish monks. But it was the ingenuity of the Benedictine Monk’s “DOM PERIGNON” blending skills in creating a sparkling white wine of a consistent high quality from a melange of red and white grapes. Champagne’s international claim to fame not only lies in its long history but also in its unique Orchestration of Grapes. Growing at a perfect height and latitude, it is the blending of “Pinot Noir”, “Chardonnay” and “Pinot Meunier” grapes, produced under the stewardship of some of the world’s most experienced Wine-Makers, that this sparkling wine has not only become a palate’s delight, but its exceptional bouquet with its colour, sparkle and unique flavour resonating to each of the five senses. 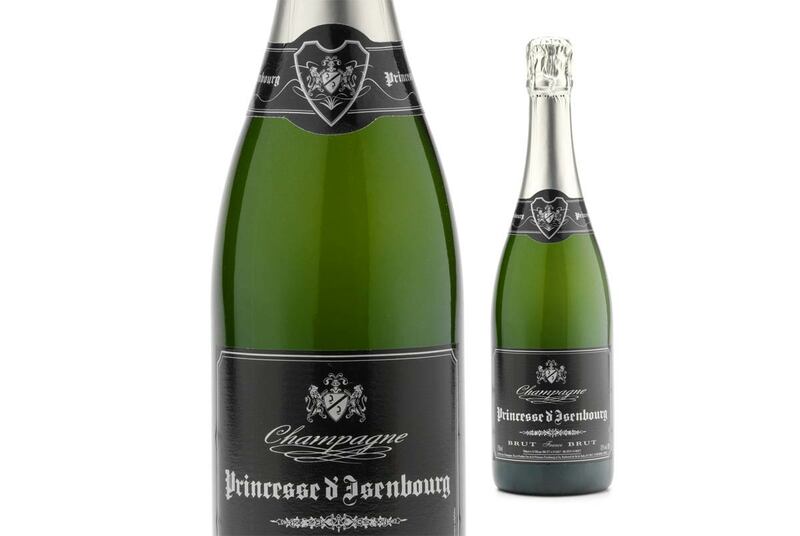 In the quest of assembling a range of Fine Foods and Gastronomique Delights, Champagne was a “sine qua non” for the Princesse d’Isenbourg. It is often said that a Champagne House may be judged by the quality of its Non-Vintage Cuvee. It is indeed the employed timeless skills which create a beautiful blend of the finest grapes whereby “Pinot Noir” lends structure and body, “Pinot Meunier” balance and “Chardonnay” being the inimitable Contributor of Finesse. Beyond Non-Vintage there are however a host of other Champagne Categories, inter alia BLANC de BLANCS, ROSE, VINTAGE, and the GRAND CUVEE VINTAGES… It should nevertheless be said and noted that Champagne is essentially a “Thirst-Quencher”, thus not a wine in need of simultaneous food consumption. A Non-Vintage, Non-Rose Champagne will therefore always best serve this purpose. Rose, Vintage and Grand Cuvees Champagnes are simply too serious and weighty and in this respect tend to loose their stamp of originality. Of paramount importance nonetheless is the “Dosage”, i.e. replenishing the bottle Neck’s Void after “Degorgement”. This should entirely consist of no more than the Base Wine. In this fashion, retention of the Wine’s matchless Originality is assured though already and firmly expressed in its worldwide Respect and patented name: “CHAMPAGNE”.